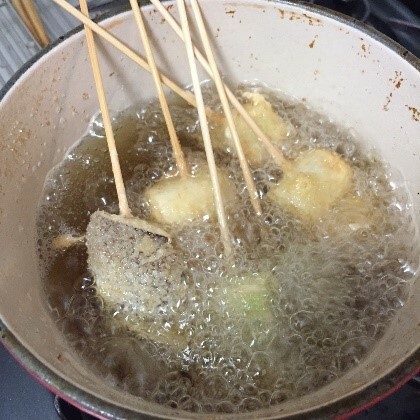 Kushikatsu, vegetables and meat battered and deep-fried on skewers, is one of the foods that nourishes the soul of the shomin – the regular everyday person on the street. 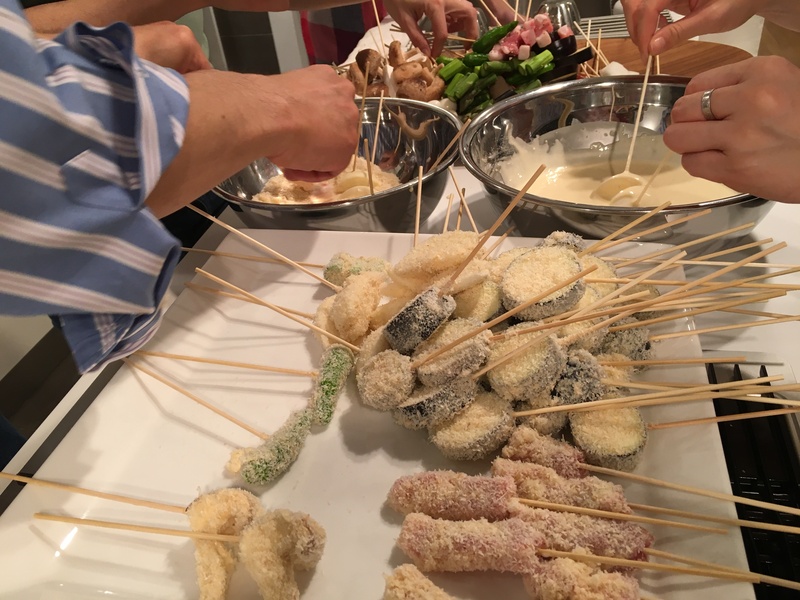 It is also one of the most popular examples of the commoner’s cuisine for which Ōsaka is legendary. 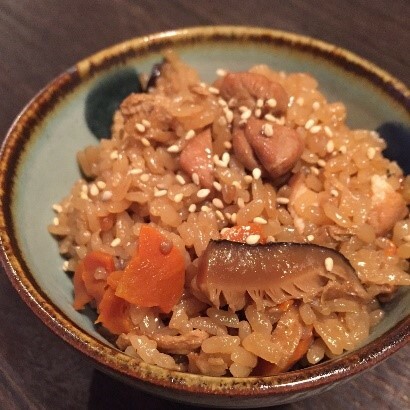 Kayaku gohan – rice cooked together with chicken and vegetables – is another and we’re going to make these dishes, plus kushikatsu sauce, and enjoy them freshly prepared, at their savory best. Location: Yanaka (Taito-ku) at a location convenient to both the Chiyoda Subway Line (6 minutes from Sendagi Station) and the JR Yamanote Line (8 minutes from Nippori Station). Details will be provided to those who register for the class. By the way, if you make a reservation, but later find that you cannot attend, please let us know as early as possible. ＃Please note that payment of the participation fee will still be expected for a cancellation after the deadline and in the case of a simple failure to attend after making a reservation. Bank transfer details will be provided. A person who reserves a class spot, but then fails to attend, without notifying Kitchen Nippon, may be blocked from further participation. We have decided to implement this rule because we purchase materials for each class and late cancellations and no-shows result in wastage and make it difficult to hold the class fee down.